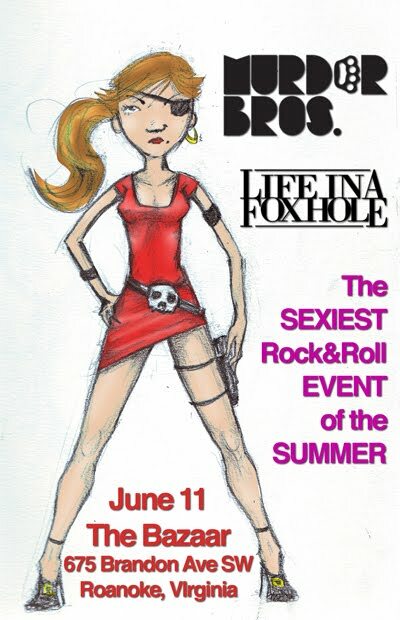 I made this for the Murder Bros. and Life in a Foxhole, who will be playing in Roanoke on June 11 at the Bazaar. It's $5 and starts at 9pm. It's going to be a great show.